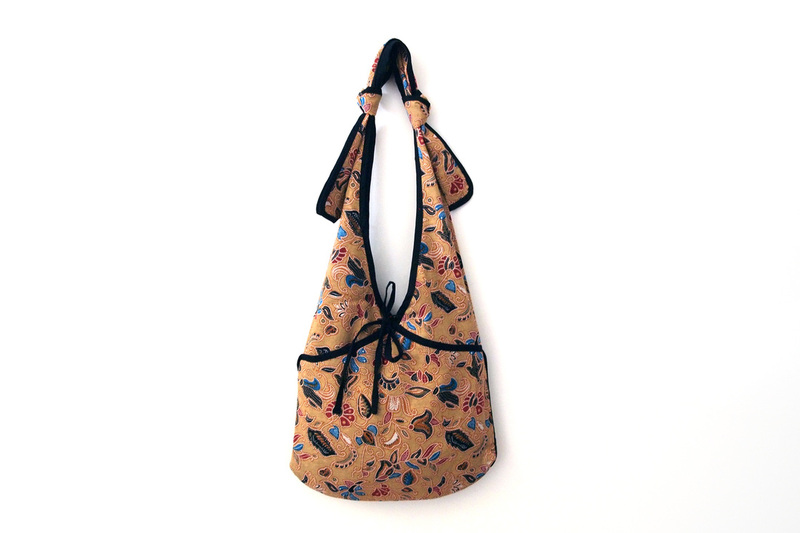 This crossbody bag is great for everyday use. 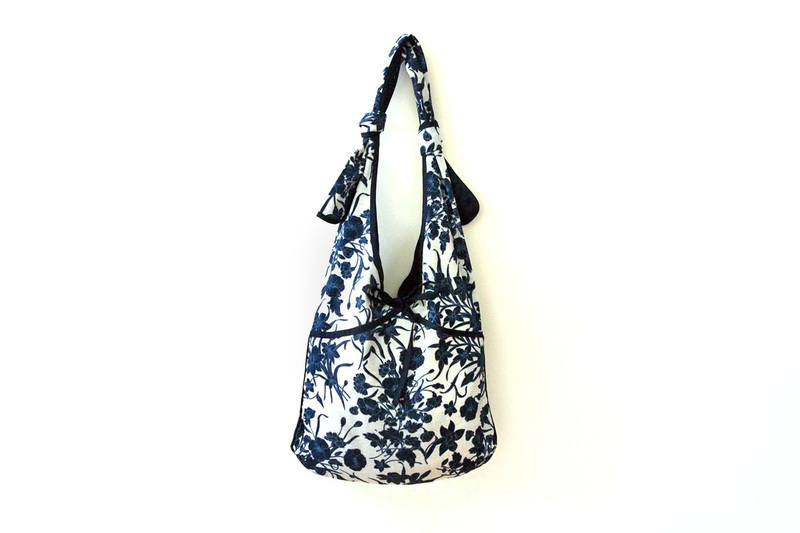 It features white illustrated floral prints on a navy blue background. 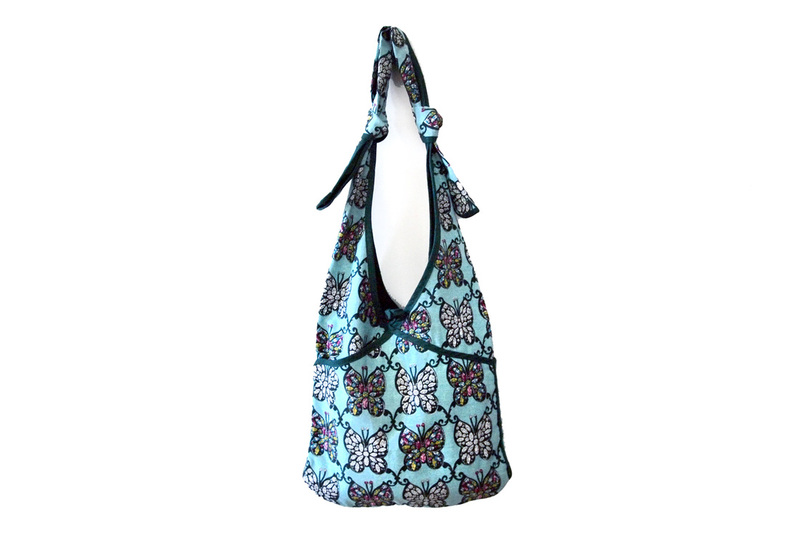 With tie-up straps, you can adjust this bag to suit any height. It even has 2 side pockets to hold small items.